Image credit: 'Mike Pence' by Flickr user Gage Skidmore license CC BY-SA 2.0. Vice-President Mike Pence has hit back at public criticism of his wife’s decision to work at a school that purposefully excludes LGBTQ students. 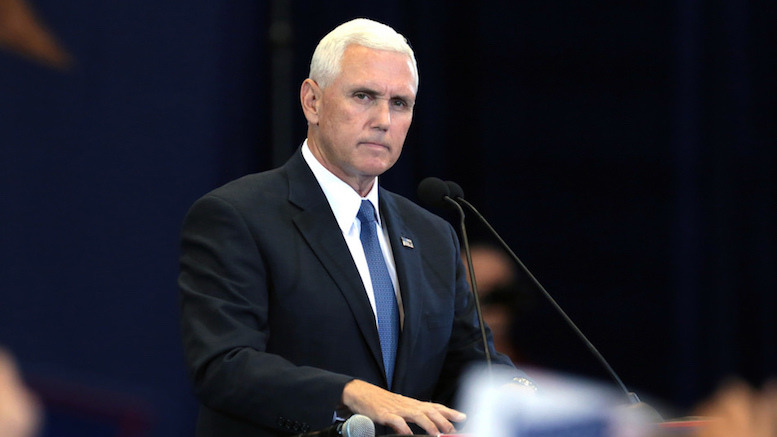 Pence was particularly incensed that others would dare judge his wife’s judging of others. He said if this continues he will have to take action. 14 Comments on "Mike Pence Furious Over Public’s Intolerance Of His Wife’s Intolerance"
Pence calling his wife “Mother”, seems pretty sick to me. Need I say more??? Why do they let people in government complain because their family is intolerant and we mention it? We are supposed to have freedom of speech. Ok,take action how. Perhaps stoning people in the town square? You are more scarier than Trump. I for one am not frighten of your backward ideas. You and your wife can crawl in a hole and take Trump with you.